Below is the equipment you will need to perform the following exercises. I have listed the best quality foam roller and trigger point therapy kits for the best prices. I use these regularly with clients and myself. Rumble Roller fascia self massage for quads. Roll the length of the quad to just above the kneecap and focus on the tender areas by holding and rolling back and forth. I like to use one leg at a time to provide more pressure and a deeper massage. Tight piriformis (the muscle around the glute) can cause lower back pain. 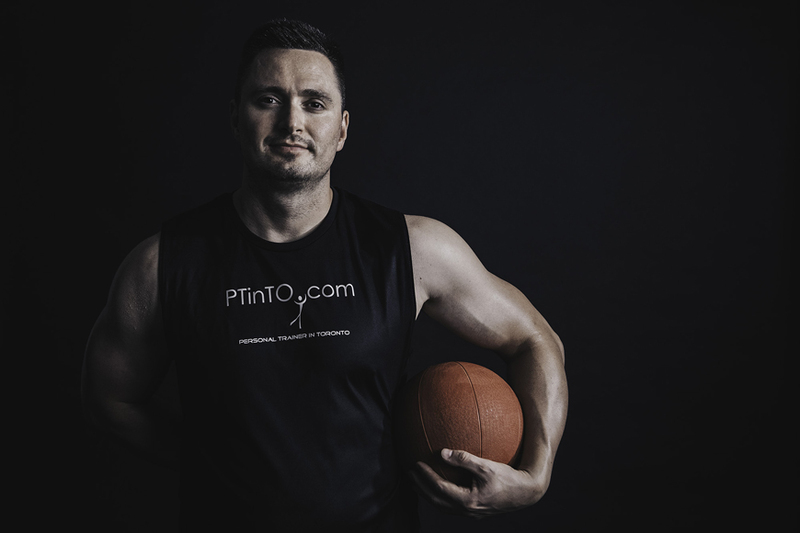 I use a Trigger Point Performance Therapy ball or small Acuball for this self-massage tech. In a semi-seated position, cross one leg over the other. The ball should be placed below the hip bone of the leg that is crossing. It takes some exploring to find this muscle but it is toward the side of the glute. You will likely notice the tenderness when you find it. Roll in a circular and side to side motion. Rumble Roller fascia self massage of the hamstrings. For more pressure, cross one leg over the other. Roll up and down from below the glute to just above the knee. Hold at the most tender spots. The chest/pec muscles get tight from working at a computer or driving as well as strength training (pressing). This technique helps to relieve some of this tension and knots. Place a Trigger Point Performance ball or Acu-Ball on your pec while raising the elbow. Apply pressure with your other hand on top. Use circular and back and forth motion. Start from the midline of the chest and work your way towards your shoulder. Self massage of the upper back with the Rumble Roller. This rolling technique works on the lats and rhomboids. Start just higher than your lower back, roll upwards while raising your arms above your head. Calf muscles tend to be very tight and knotted when active people do not perform regular stretching and rolling. This is especially true for any athlete that has to play/perform on their toes like tennis, basketball players, and sprinters. This rolling technique requires use of a Trigger Point Performance ball or Acu-Ball (though you may try using a golf ball or experiment with others). Place the ball on a yoga block or the block provided with the Trigger Point Performance. Place one calf on the ball with it positioned a couple inches above the Achilles tendon. Place the other leg over the other to apply more pressure. No need to work the upper calf as most of the knots and tension occurs in the lower calf region. Roll in a circular and back and forth motion. To get a deeper massage rotate your foot clockwise and counter clockwise and move it up and down. Rolling your calves using the Acu-ball you can pin-point tender areas. Place your calf on the Trigger Point Therapy block or a yoga block. Roll in circular motions and hold on the tender areas. I like using the ball after the roller. This is an essential massage for runners, especially sprinters. The tibialis muscle in front of the shin can get tight and knotted up with tension from long distance and hill running, and walking on uneven surfaces. There are two ways to effectively self massage this muscle and help release tension. I use The Rumber Roller “gator” model to target the whole muscle well. Roll in an up and downward fashion holding at the tender spots. I also use the mini Acuball to focus in on the problem area (which is usually up high up on shin towards the knee). I do back and forth motions and circles using the ball. To get a deeper massage rotate your foot clockwise and counter clockwise and move it up and down. This rolling exercise is great for shin splints which usually from overuse, running up hill, hiking, or changing shoes. In these videos I am using a Trigger Point Therapy foam roller and an Acuball. Roll up and down and hold in the tender areas. Also perform shearing back and forth motions. This foam rolling exercise is good for tennis elbow pain and pain from working at a desk for too long. The forearms also take a beating from heavy lifting (especially deadlifts, rows, and pull-ups). This is the next best thing to seeing my chiropractor or an RMT. Using the mini Acuball you can really pin-point tender areas along the forearm. Use both a circular rolling motion and a shearing motion. Use the small calf roller from the Trigger Point Performance Therapy set (unless you have Popeye forearms. In that case, use the quad roller). Place the roller on a bench. Roll back and forth and use shearing motion. Hold in areas where the pain is greater. The roller massages the general area rather than pinpointing the pain sites with the Acuball.